Commercial Circular Donut Frying Machine For Sale Our the commercial donut frying machine is used for circular donut. 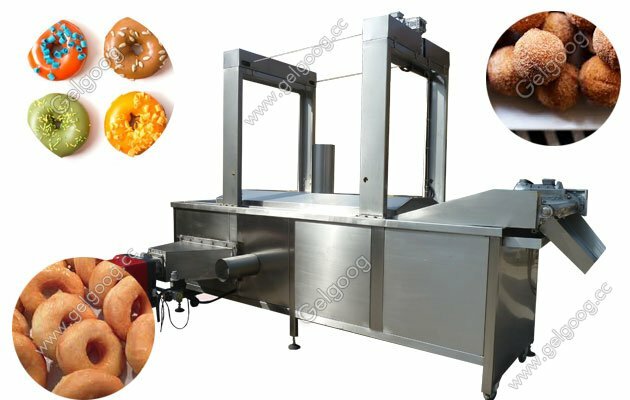 Our the donut frying machine with high quality and for sale,not only saving your labor and oil. Great helper for donut business. Circular donut frying machine is often applied for much more than donut. From sophisticated tempura desserts to deep fried french fries,chicken or turkey, and also to snacks like fried pickles or cauliflower, the prospects are nearly endless.The commercial donut frying machine is automatic and continuous. 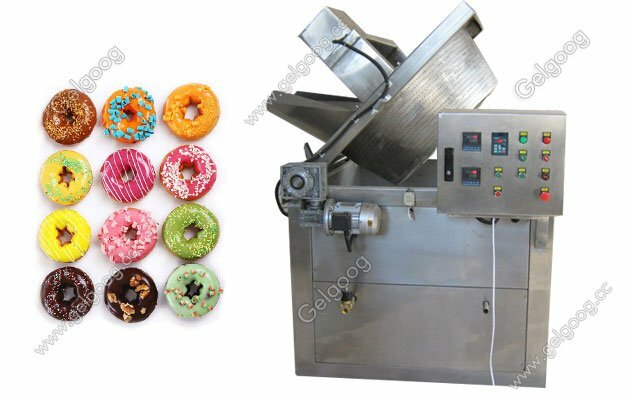 The donut frying machine for sale is widely utilized in fried food processing enterprises, is appropriate for pasta, snack food, prepared foods, nuts, potato as well as other fried meals. Doughnuts (also spelled donuts) are deep-fried pastries produced from dough. Doughnutlike fried pastries seem in lots of kinds the planet more than, from savory to sweet. Nonetheless, inside the United states of america, doughnuts are most generally sweet treats, usually enjoyed at breakfast or as a midmorning or midafternoon snack. Despite the fact that doughnuts are in some cases full of jam or pastry cream, the most common American doughnut form is circular using a hole within the middle -- it looks like a puffy, chubby ring. 1- Fundamental structure: Oil temperature automatic management process, automatic lifting system, automatic filtration and slag scraping technique. 2- Heating method: Electrical heating pipe. 3- Conveying process: Composed by stainless steel conveyor, has the capabilities of variable frequency speed controlling, quantitative delivery and timing delivery. 4- Oil circulation method: Will work using the oil pump, key perform is feed in fresh oil into the fryer in time. 5- Residue scrapping process: In the bottom of oil tank, includes various scrappers. 6- Automatic filtering system: Dynamic circulation program.